Love Letter Of Lunar And Phantasy Star! 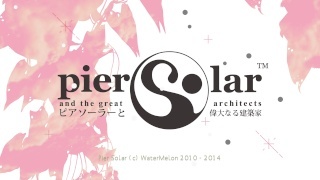 Developed and published by Watermelon Studios corp. Pier Solar started off as a homebrew game for the Genesis/Megadrive that was going to feature members of an online community as the protagonists, however this idea was scrapped early on in the development of the game and Pier Solar: And The Great Architects was born! Is Pier Solar a amateur game or does it live up to the standards set by other old-school JRPG's? Continue reading to find out! The story of Pier Solar: And The Great Architects is fairly straightforward, but occasionally has an unexpected twist here and there, however it's usually easy to figure what's going to happen next. The written dialog on the other hand is full of humor that will often make players chuckle. The humor in Pier Solar is quite zany and random which will likely be nostalgic for gamers who have played a game in the Lunar series as this game has a similar flavor of humor! The game starts off slow like most other RPG's, but becomes more enjoyable after the first hour or two. 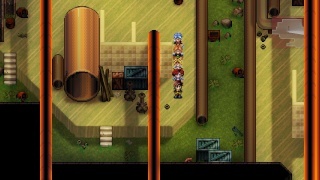 The turn-based battle system in Pier Solar is quite enjoyable and feels very similar to the Phantasy Star series which is rather enjoyable, though there are a few differences such as the gather command which is used to gather energy for powerful attacks and spell as well as buffing your characters attack power! Enemies also appear at random while travelling around fields and dungeons much like they did during most RPG's of the era that this game tries to emulate! The only negative we have with the battle system is that too many bosses and normal enemies are palette swaps instead of unique enemies, but given the fact that this game was originally released for the Genesis/Megadrive and thus limited by that hardware it's not really that big of an issue! The game is quite long "clocking in at 30-40 hours" and features many side quests and minigames to enjoy. Pier Solar: And The Great Architects HD also features new minigames, side-quests, and dungeons to tackle that weren't available on the game's original release on the Genesis/Megadrive which adds to the game's already plentiful amount of content! The Gamepad is used as a Lossa screen when not using the Off-TV Play feature and shows the map, treasure, allows you to warp, etc. and is one of the best uses of the Gamepad's screen we've seen to date! The game also possesses many bugs which range from annoying to serious and really hamper the score that we're giving this game, but none of this issues are quite serious enough to be considered game-breaking. The graphics in the game can be set to the original Genesis/Megadrive visuals if you'd like in the game options, but as for the HD visuals they look absolutely gorgeous and really showcase the developer's talent! The character and enemy models are very detailed and the game's world really comes to life in HD! The music can also be set to the original Genesis/Megadrive quality as well, but you won't want to do that as the newly remastered soundtrack is absolutely amazing and really fits the mood of the game! The game's controls are smooth and easy to learn and you also have the option to us the Wii U Pro Controller, or Wii Classic Controller Pro if you'd rather use one of those controllers instead of the Gamepad! 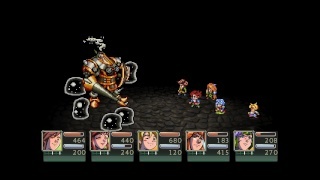 With a humorous and solid story, enjoyable gameplay and battle system, a massive amount of content, amazing audio-visual presentation, and fantastic controls and controller options Pier Solar HD is an amazing retro-style RPG that any fan of old-school RPG's should definitely download, however a few minor issues and serious bugs keep this game from receiving a near-perfect score, but nonetheless this game is still a very good title that we highly recommend! Choose the solar power system depending on your needs. Our review is now live! This game is awesome and your review is too! This is a wonderful rpg, much better then I thought that it would be lol.